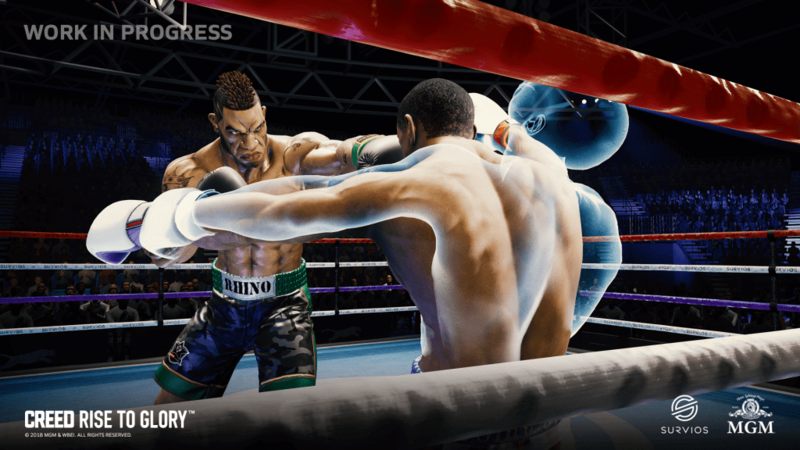 Creed: Rise to Glory is a PlayStation VR boxing title based around the Rocky franchise. 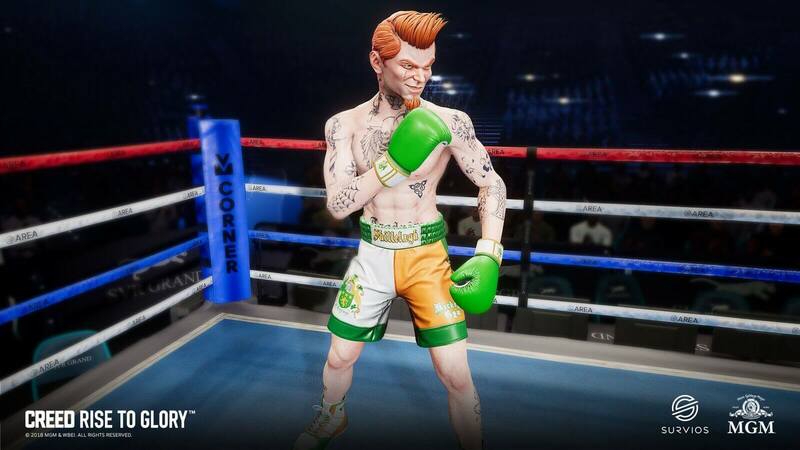 We’ve been waiting for a decent PS4 boxing game since the days of Fight Night Champion 2, and though developer Survios has opted for a virtual-reality only experience, it’s showing great promise. My hands-on impressions of Creed: Rise to Glory had me gasping for air, but in a good way. Creed will definitely be a work out for those looking for a good boxing experience. I took control of Adonis Johnson (Apollo Creed’s son) from the 2015 Creed movie to take on new challenges on my way to glory. I began my playthrough in the gym where Rocky Balboa was ready to train. The training aspect of Rise to Glory plays like a mini game where you’re taught how to play the game in a series of mini-games. The two that I got to experience were rapidly hitting a punching bag, and the other was striking a dummy in specific locations in the correct order in a combination of attacks. These training aspects really take it out of you as I was pretty winded by the time it was over, and the better you do the faster the training regime transitions and the harder they become – especially if you’re not a fit person. The actual combat requires a lot more than just swinging wildly. The strategy is almost like a real boxing match. You can dodge attacks if you see them coming, but for people who aren’t physically active you can simply block. Using the two move controllers to represent each hand, I decided to pull of the Muhammad Ali strategy and let my foe tire himself out before I counter attacked. It’s a strategy that worked pretty well for me for the most part. Outside of the actual boxing, the Move controllers took some getting used to. If you get stunned by a heavy attack the camera will pull away from your character giving you a kind of out of body experience. When this happens you have to arrange your hands to match the gloves of your boxer to return to his body with as much stamina as you can as fast as you can. When I got knocked down though the camera flew pretty far back and I had to run back to my body before the ten count. Moving and running required me to hold down the two Move buttons and move my hands as if I was in a running motion to quickly return to my body. Another a great way to use up your real stamina as you will get tired the longer the fight goes on. Graphically, the game loses some of the authenticity of a real boxing match due to being a little on the cartoony side, but I quickly overlooked it. I also noticed that my opponent didn’t have any facial trauma from the fight, which I hope is something added into the game before its release. As far as facing off against fighters from the Rocky movies I wasn’t given a definitive answer when I asked. I was told though that the game would feature events from the movies so I can only hope I get to face off against the likes of Ivan Drago and Apollo Creed and even be able to play as them. Creed: Rise to Glory will feature Rocky himself and I was informed he will be voiced by Sylvester Stallone by the time the title release. 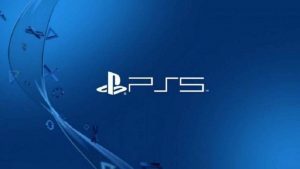 The PlayStation VR version of Creed: Rise to Glory will receive an exclusive character in the form of Classic Rocky. 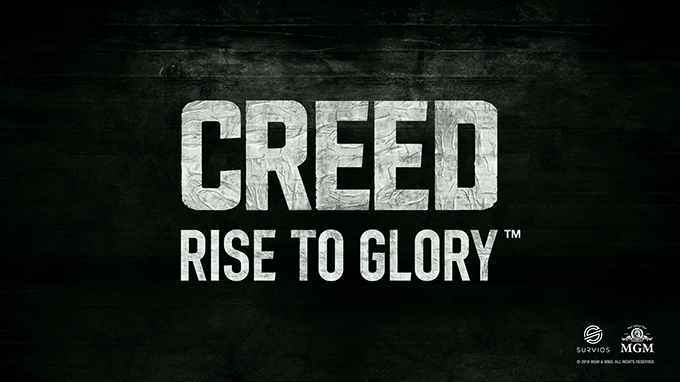 Creed: Rise to Glory is an exciting new game in a sports franchise that hasn’t had a new release in six years. The move to VR is sure to make boxing enthusiasts excited but it can also be a great exercise and training tool for those looking to get into the sport itself. For more on Creed: Rise to Glory stay tuned to PSU and let us know how you feel about getting into a boxing ring in VR in the comments below. 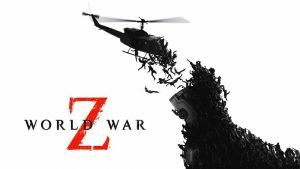 This could be good, and at least the characters doesn’t look way too cartoonish. Is there ring movement? Or is it Punch Out-style?